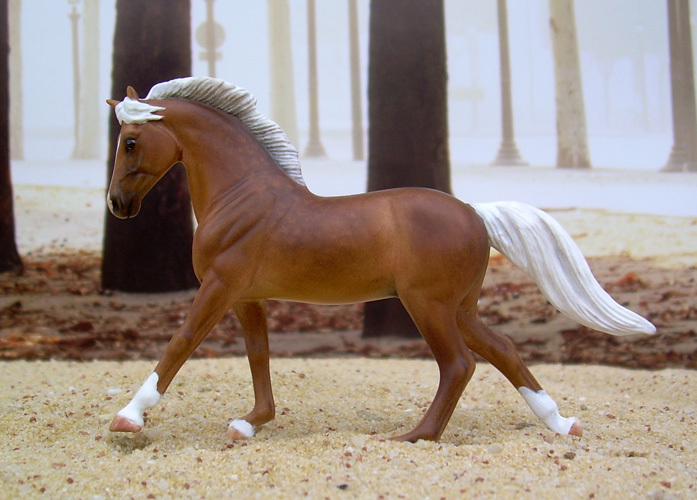 Sold CM PRE filly, new breed appropriate mane and tail, slight nose resculpt, new gender bits, painted perlino NAN TOP TEN! 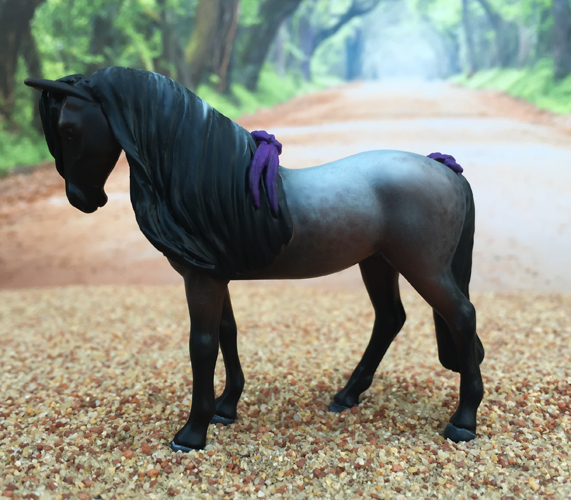 Commission CM Breyer SM to a blue roan sabino Unicorn. 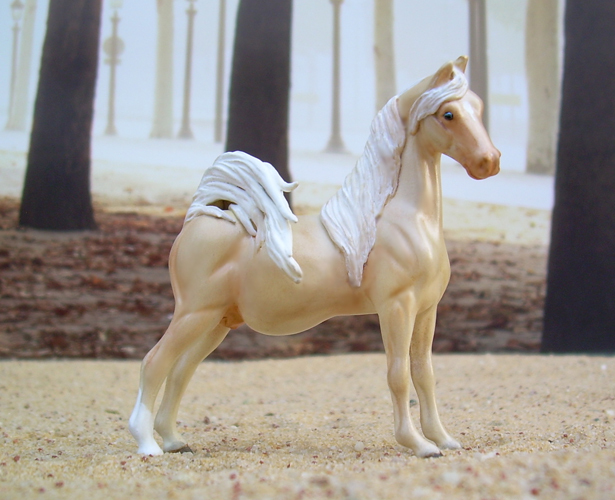 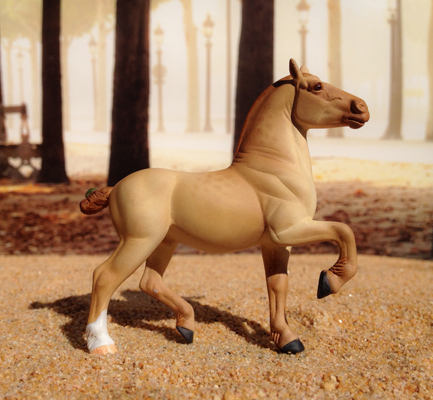 Commission CM Breyer SM to a pregnant cremello mare. 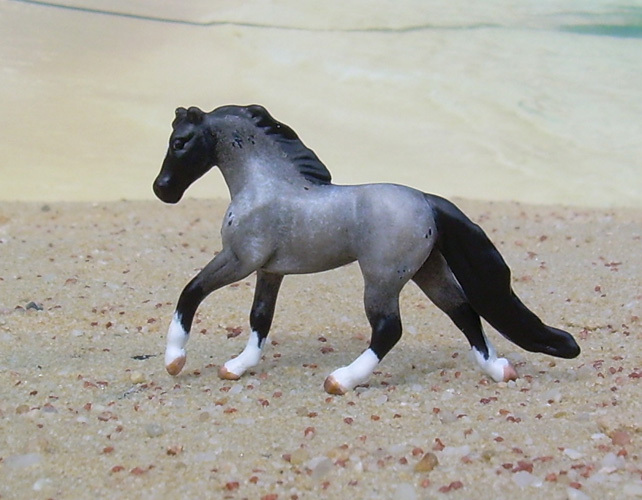 Commissin Repaint Stone Chip to a buckskin. 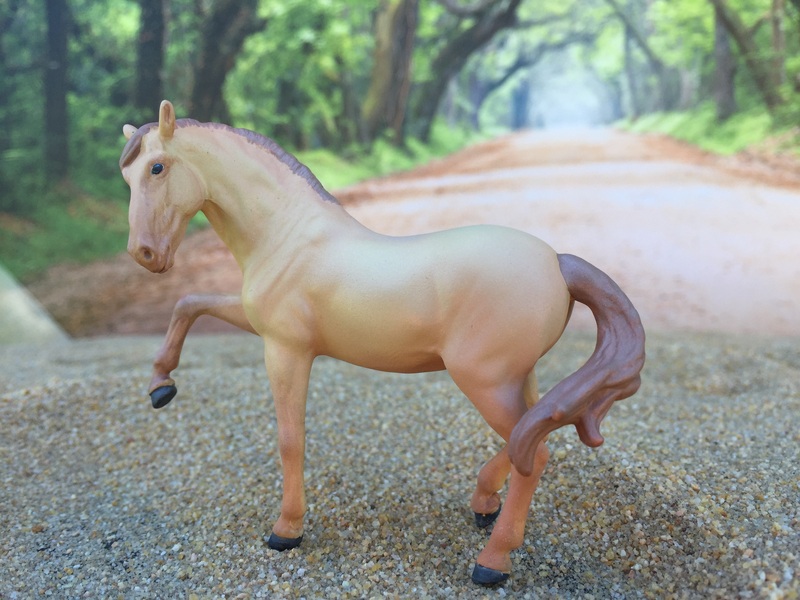 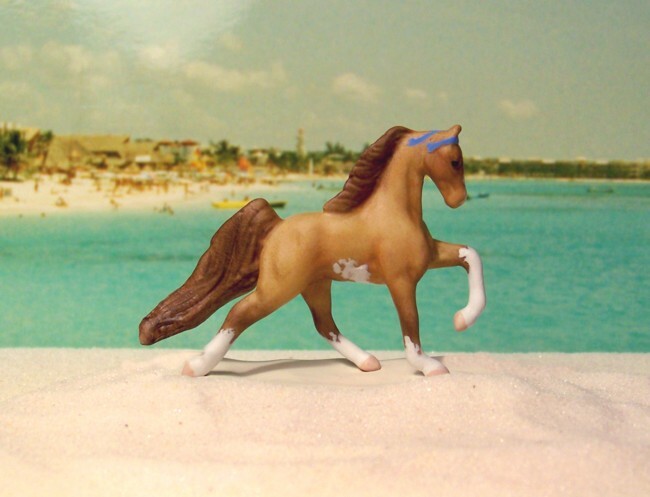 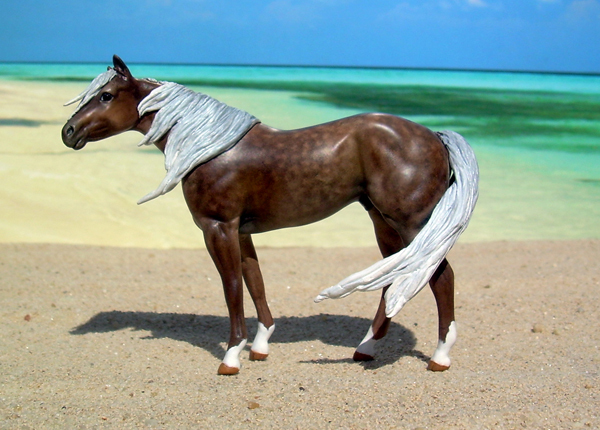 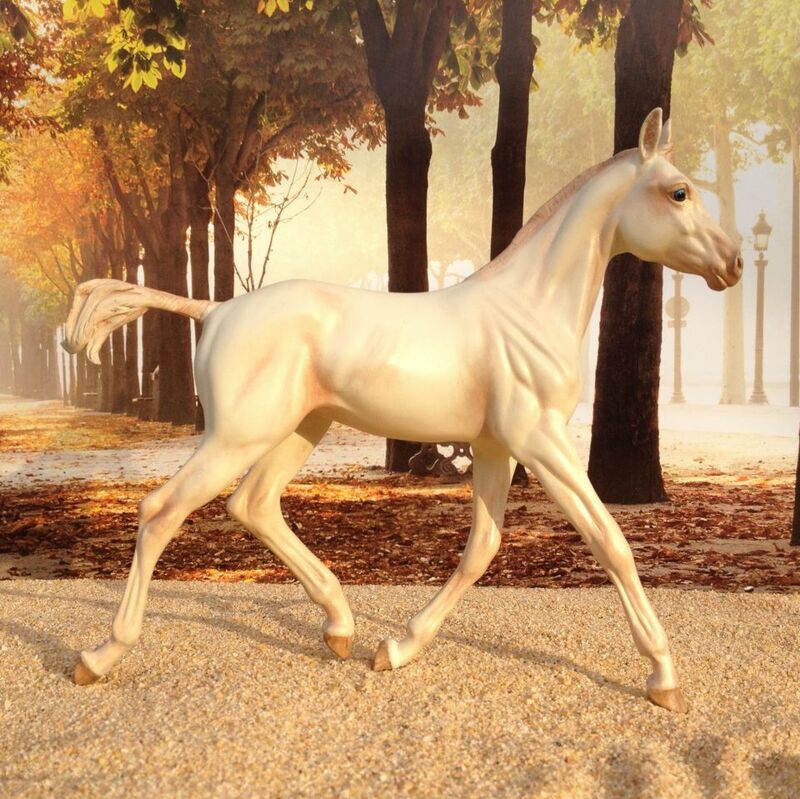 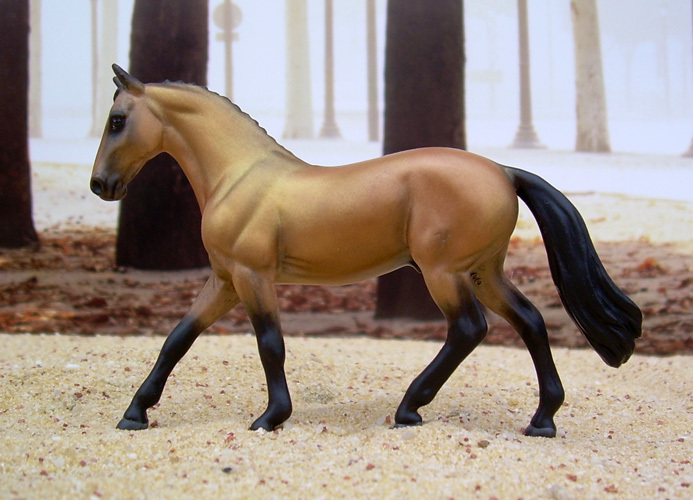 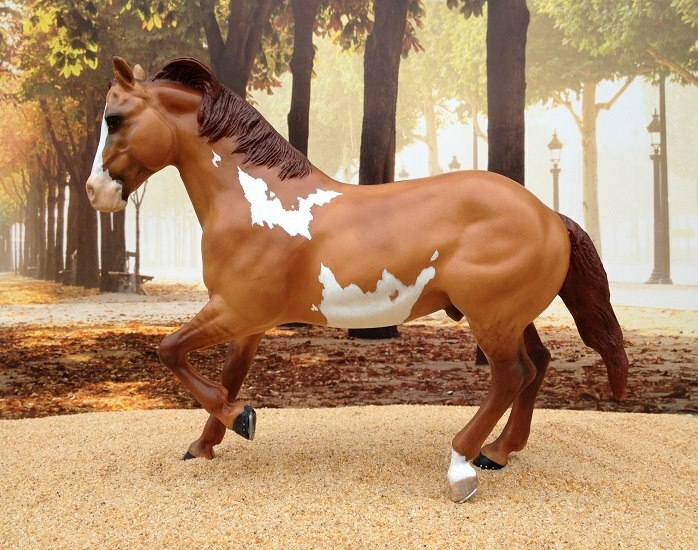 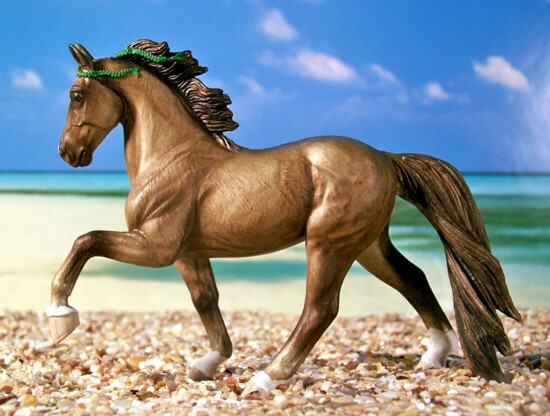 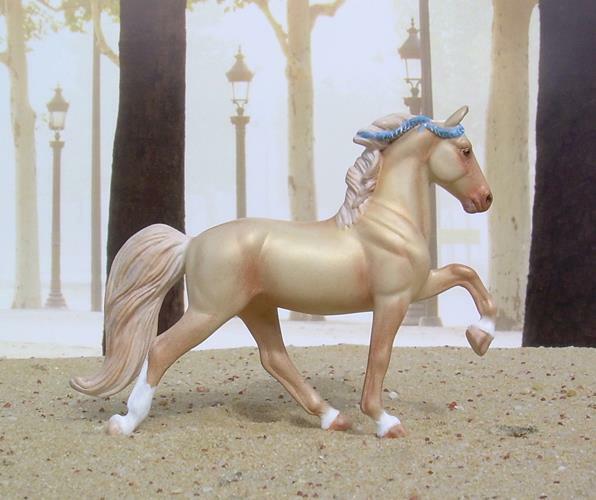 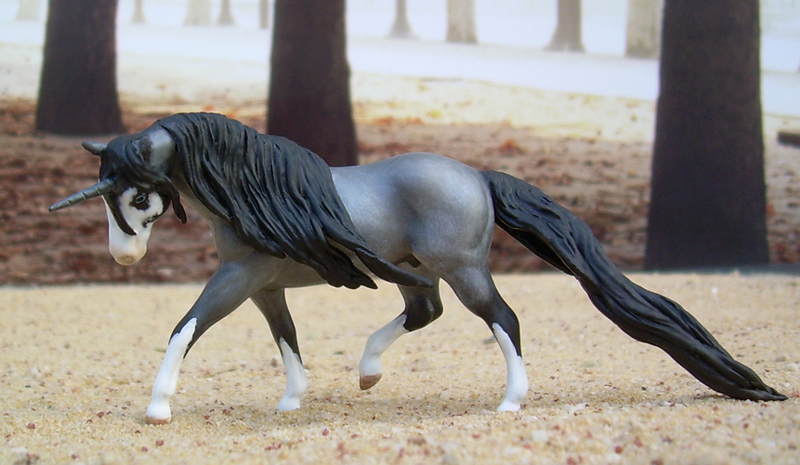 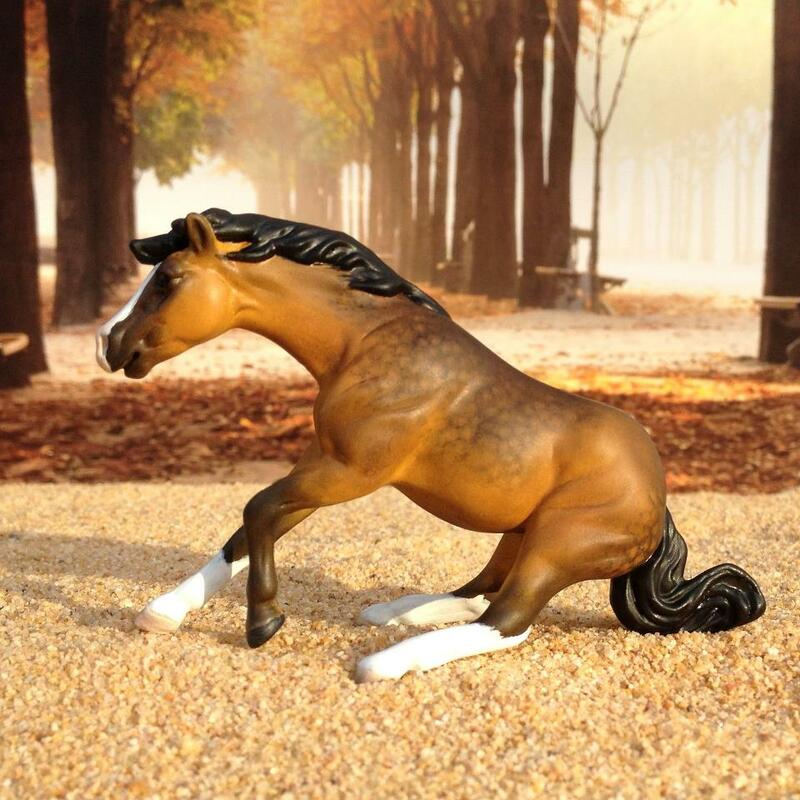 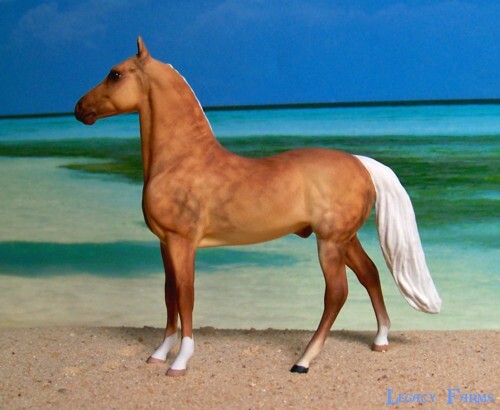 Sold Repaint Breyer to a dappled sooty palomino. 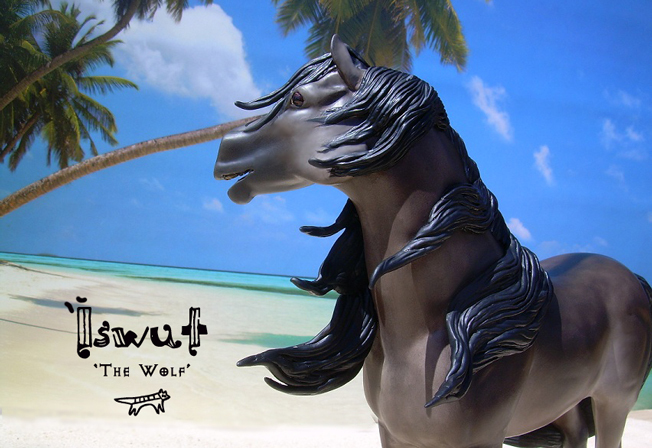 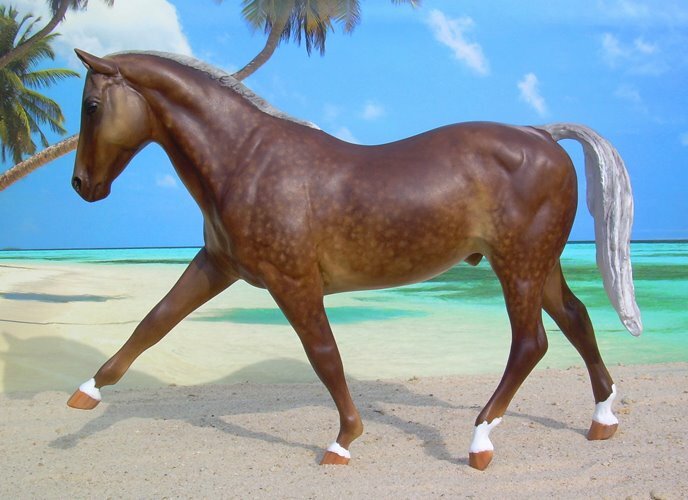 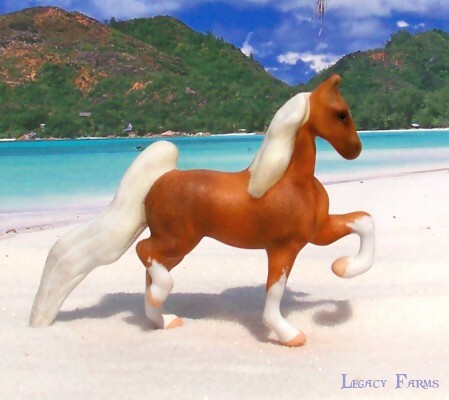 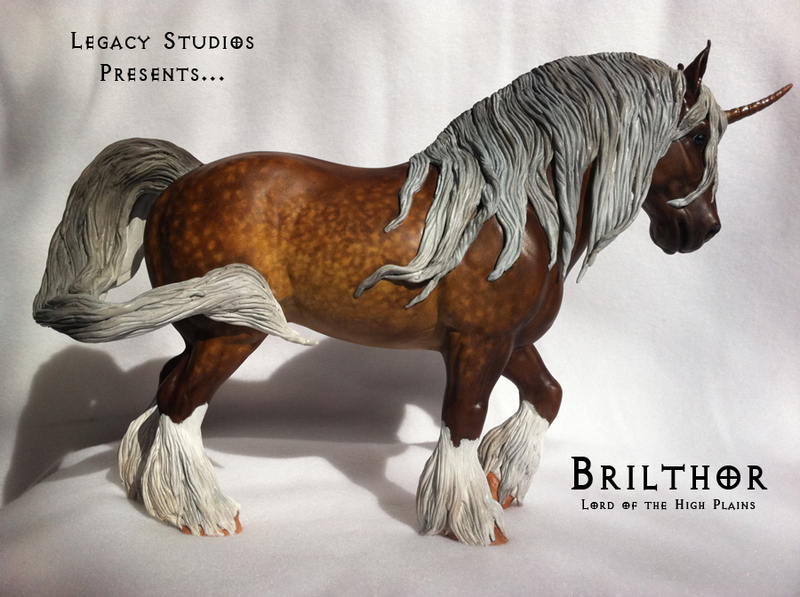 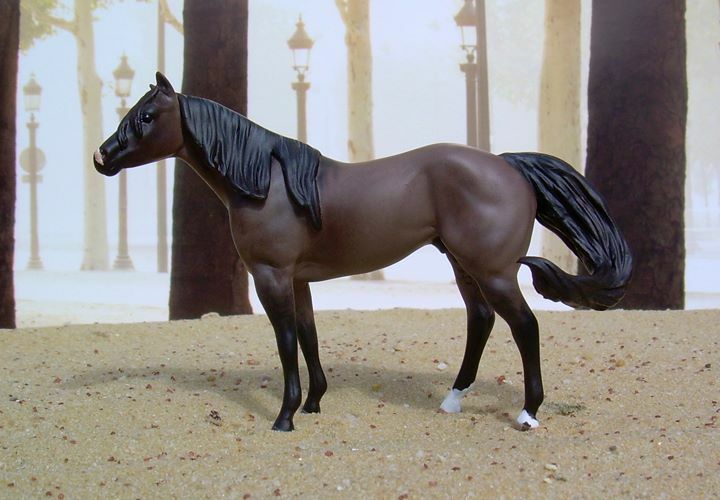 Commission Stone Chip stock horse - new CM mane/tail, painted a sooty chocolate palomino.